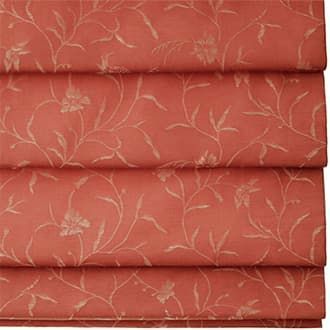 Window coverings can improve the aesthetic appeal of your property. They can also serve various functions, such as protecting you from the sun’s glare and a stranger’s gaze. 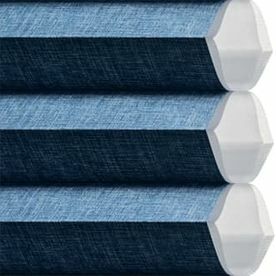 No matter the purpose of you wanting to install a window covering, reach out to Pioneer & Santa Monica Shade & Screen. We offer an array of products, and our knowledgeable, friendly team can recommend one that suits your needs. Hunter Douglas is the #1 premier window covering manufacturer in the world. It has a grand collection of products that are superior in quality, style, and function. Aside from that, Hunter Douglas’ coverings are easy to operate and safe for children. 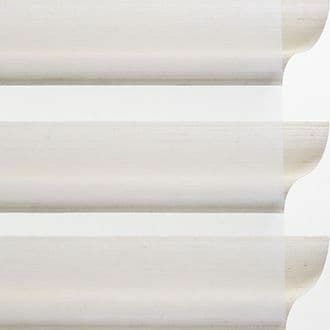 Whether you want to enhance the beauty of your property’s interior, protect your privacy, or have a better control of the sunlight that enters your home, the brand has the right window treatment for you. Century Blinds was established in 1992 and has become a premier window covering manufacturer. It has a wide variety of durable and stylish products. No matter your preference, Century Blinds has the window covering that you need. This company is great not only in offering excellent window coverings but also in providing outstanding service and reliable delivery. In addition, its members are dedicated to setting the industry standards of excellence. Lafayette Interior Fashions is known for their materials and fabrics that can resist moisture, block the sun’s glare, and help manage energy use. It promotes and maintains a safe and sustainable environment for everyone. Many of their fabrics are certified for their energy efficiency, use of recycled materials, and air quality safety. We work hard to include the best environmentally friendly advancements into all of the brand’s programs as soon as they become available. Our efforts were recognized back in February 2014 when we received the Environmental Stewardship Award for Energy Management Systems from the State of Indiana. For more than a century, Horizons Window Fashions have dedicated themselves to making window treatments that are fashionable and sustainable. The patterns of the Horizons Natural Shade collection are made from renewable resources, including bamboo (possibly the most renewable resource in the world), sustainable wood, grasses, and reeds. Horizons Window Fashions has a warranty for the products that are properly installed in residential properties. If you want to increase your comfort at home and create the perfect atmosphere in any room, you should reduce the sun’s glare by using Somfy products. They can protect your interior furniture from harmful UV rays and efficiently control heat gain and loss—creating a relaxing room environment. Radio Technology Somfy™ (RTS) allows the control of window coverings to be integrated seamlessly with the rest of your home’s automated systems, including lighting, security, and climate control gadgets. With this equipment, you will only press a button on your transmitter to raise or lower your motorized shades—taking convenience to a whole new level. It can also create your ideal ambiance for any occasion and purpose. With this equipment, you will only press a button on your stylish transmitter to raise or lower your motorized shades—taking convenience to a whole new level. It can create your ideal ambiance for any occasion and purpose—for entertainment, reading, relaxing, and doing any other leisure activity. The complete range of Somfy’s motorization options gives the optimal solution for your window covering application. These include standard wired versions as well as patented battery versions that have an average battery life of 5 years for shades and 10 years for blinds. Don’t compromise your privacy and safety because of window coverings that are hard to reach or difficult to manually operate. Motorization addresses these concerns by allowing you to activate your window coverings automatically or by simply touching a button. Somfy’s Radio technology offers the flexibility of combining wireless wall switches, hand-held transmitters, and wirelessly programmable timers. This way, you can control your window coverings either individually or by a group. Somfy’s Chronis RTS Timer can easily program your motorized Chronis RTS wireless timer window coverings. It can open and close, as well as raise and lower your window covering automatically at specified times to suit your daily lifestyle. There is an optional security mode that randomly changes the pre-programmed schedule to make your home look occupied even if you’re away. Home Motion by Somfy is based on the brand’s motors, controls, and automatic sensors. This product allows you to easily control one or a group of window covering with the use of a wall control or a remote control transmitter. You could also program your window coverings to set a schedule beforehand or create recurring scenarios, which will run automatically. You could even have your window coverings open and close with the use of our sun and wind sensors! The Telis 4 RTS remote control can be used to communicate with all of the Somfy RTS RF (Radio Frequency) controllable devices. This is a five-channel RF remote that you can use to control an unlimited number of shades. The shades or motors can be assigned to one or more channels on the remote. You can use this remote control to centralize and control the movement of 20 individual coverings depending on the zones in a home (ground floor, upstairs, facades exposed to wind or sun, etc.) All the motors in a selected group could go up or down. The product has an on-screen display, which makes it easy to read and navigate through settings. This is an industry's first dimmer for natural light. It has a central scroll wheel for precise adjustment of horizontal blind slats. The remote has five channels that you can use to control five individual window coverings or five individual groups of window coverings. There is a highlighted "my" button that provides easy access to a user-defined preset position. 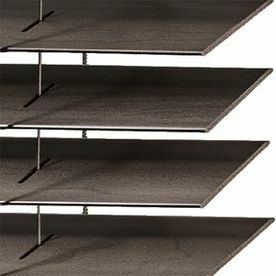 It has a streamline shape and rubber edging for increased durability. The product’s one-of-a-kind design includes a hanger and pin, which enables the item to mount on the wall for easy access and storage. This is available in two colors—silver or black. Purchase a Window Treatment Today! We are a custom-order business. When you buy a product from us, you can expect it to be tailored according to your specific needs. We provide individualized orders that are so personalized that they might not be useful for others. That is why for us, returns are never a factor. In addition, our team installs everything that we sell, and we can offer delivery services. In case shipping is really needed for a product we don’t handle, the buyer shoulders the shipping costs. For free quotes, estimates and special offers, visit our website or contact us for more information!